Launching a new business takes hard work — and money. Costs for market surveys, travel to line up potential distributors and suppliers, advertising, hiring employees, training, and other expenses incurred before a business is officially launched can add up to a substantial amount. The tax law places certain limitations on tax deductions for start-up expenses. No deduction is available until the business becomes active. 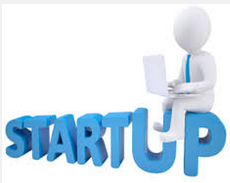 Up to $5,000 of accumulated start-up expenses may be deducted in the tax year in which the active business begins. This $5,000 limit is reduced (but not below zero) by the excess of total start-up costs over $50,000. Any remaining start-up expenses may be deducted ratably over the 180-month period beginning with the month in which the active business begins. Example. Gina spent $20,000 on start-up costs before her new business began on July 1, 2015. In 2015, she may deduct $5,000 and the portion of the remaining $15,000 allocable to July through December of 2015 ($15,000/180 × 6 = $500), a total of $5,500. The remaining $14,500 may be deducted ratably over the remaining 174 months. Instead of deducting start-up costs, a business may elect to capitalize them (treat them as an asset on the balance sheet). Deductions for “organization expenses” — such as legal and accounting fees for services related to forming a corporation or partnership — are subject to similar rules. If you would like to become more aggressive on lowering your taxes and worry less about trying to manage this yourself, call 410-466-3779 and ask for Steven Graber. Graber & Associates is a Baltimore CPA Accounting firm that has operated since 1993. We provide two convenient office locations, International Drive in the Inner Harbor area and Park Heights Avenue near Pimlico, to better serve our clients throughout the broader Baltimore metro.